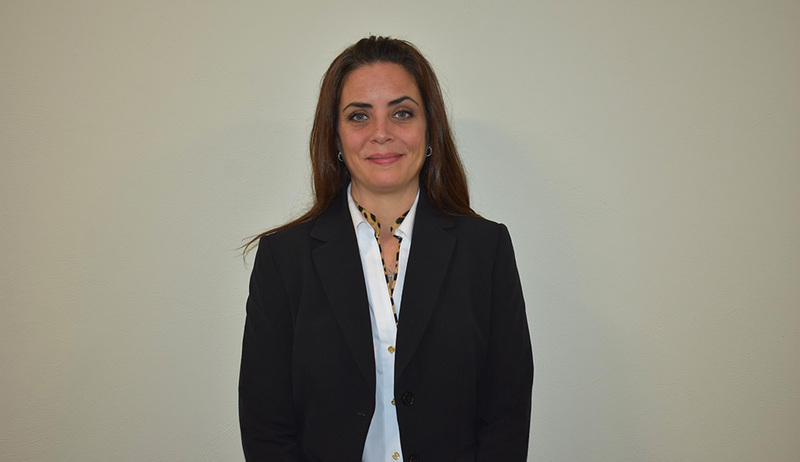 Christine Secilia, M.S., was recently appointed a full-time lecturer for the Department of Criminal Justice and Intelligence Studies. She has 14 years of law enforcement experience, including six years as a sergeant. Secilia also worked with DANET (Allegheny County District Attorney's Narcotics Enforcement Team) in undercover narcotics investigations and has been recognized in a variety of areas such as high risk search warrant completions. What inspired your passion for law enforcement? My mom and I would read crime stories together that required us to form a conclusion before the end and we would watch all the L.A. Law shows and figure out the stories before the ending. I always told my parents I wanted to be a cop and save all the good people from the bad people. My uncles have also followed various paths in public safety and the military. I was "nebby" and would listen to their stories, and enjoyed it. People in general inspire me. My parents inspire me and the challenges behind investigations inspire me. How do you incorporate your experiences in the field into the criminal justice classes you teach? Depending on the subject that I am teaching, and if the moment is right and I have a story/experience to share on a topic the students and I are discussing, I share it. I have also taken students on crime lab and jail tours so they can have hands-on experiences on the topics. As an alumna of the University, what factors made you choose Point Park for your bachelor’s and master’s degrees? I appreciated that Point Park's criminal justice and intelligence studies professors had field experience in the subjects they taught. Also, I liked the accelerated courses for both the B.S. in criminal justice and M.S. in criminal justice administration programs. The criminal justice administration's all-day Saturday program worked perfectly with my work schedule. What do you enjoy most about teaching our students and what career advice do you have for them? Each individual student is unique with different career goals. I let my students know that the avenues for any field in the criminal justice system are many and to gain as much experience as they can. For instance, some students want to be police officers while others want to be narcotic detectives — but you have to be a police officer first. I tell them, "You may want to become that detective, but then discover that you really enjoy helping juveniles the most." With a criminal justice degree and the experience, you can pursue various career goals in the field. In general, I really enjoy being around people, meeting new people and helping new people and that is what I do with my Point Park University students.